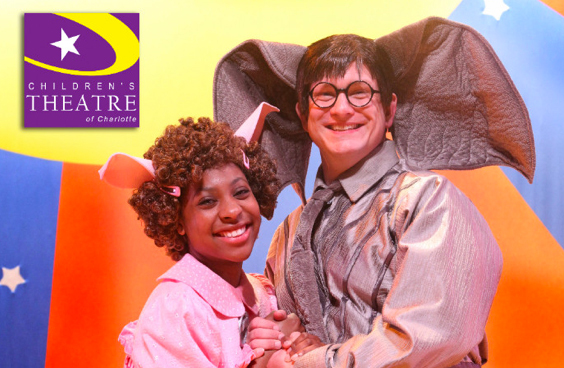 Children’s Theatre of Charlotte (CTC) does it again with its latest production, “Elephant and Piggie’s We are in a Play”. This play brings the Elephant and Piggie book series by Mo Willems to life. The story of friendship, compromising, and getting along with others is creatively told through song and dance. I took my two girls, ages 8 and 11, to see the play on a perfectly rainy Sunday :-). My girls have always loved the book series, so this was a fun treat for them to see the characters brought right in front of their eyes on stage. The actors were cast spot on and had the audience of all ages laughing and clapping throughout the performance. With a running time of 60 minutes is the the perfect amount of time for even the littlest ones to stay engaged. This is a fun family outing that I would highly recommend. 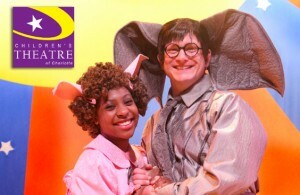 The show runs through October 11th so this weekend is your LAST chance to see “Elephant and Piggie’s, We are in a Play.” Check out ticket prices and show times at www.ctcharlotte.org. Don’t miss it!